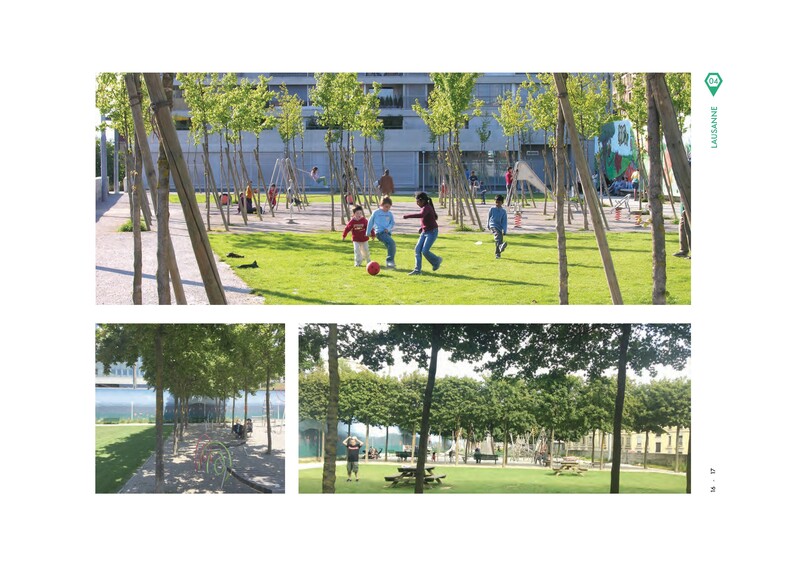 New public park in the centre of Lausanne after the closing of the LEB train station. Contest organised by the Swiss Federation of Landscape Architects and open to its young members. To arrange the park around a series of empties (the plots) and fulls (networks of maples), reproducing the rythm of the buildings in the district. To create a new area of calm, protected from the nuisance of the two main roads it borders by lowering it 4m in relation to the old train station (the construction of a wall 120m long and 4m high). A new playground was installed in 2015 by the City. 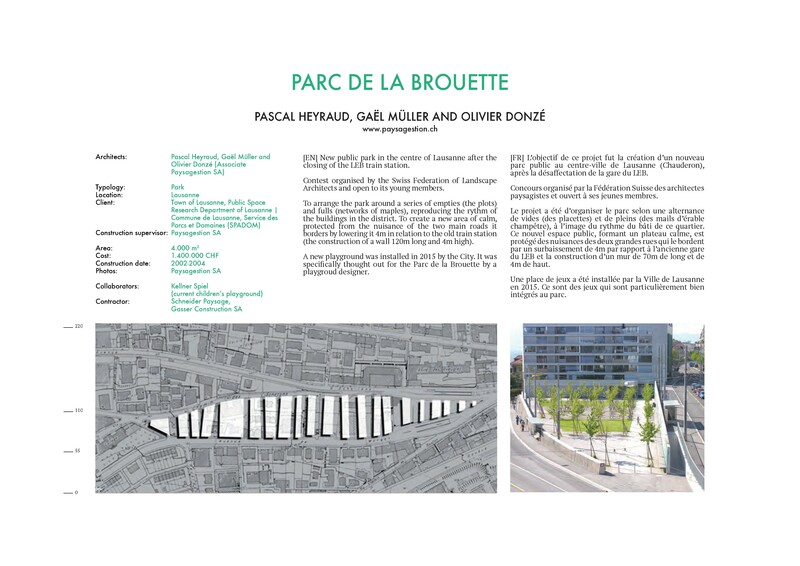 It was specifically thought out for the Parc de la Brouette by a playgroud designer.